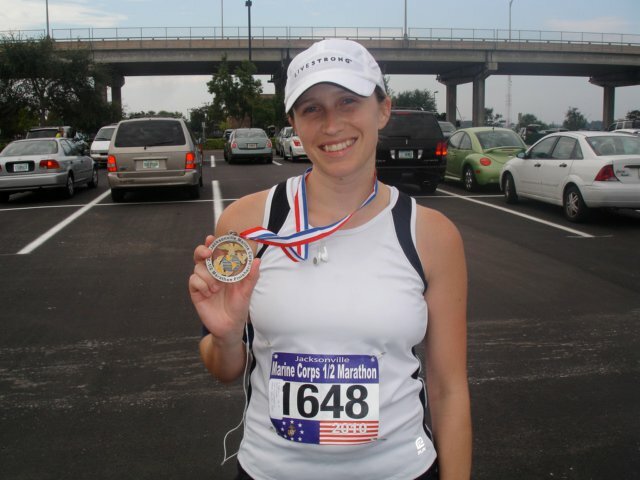 A half marathon completed 3 months after Baby #3. OH CRAP! I just realized something. Maintaining intense physical activity for 6 – 7 hours without stopping is just crazy. It is like “fall over in your grave before you make it to the finish line” crazy. What the hell was I thinking when I signed up for this thing?? And to think that it could actually take even longer if I feel the need to crawl during the final 5 miles of the half marathon! Why would a part-time working mother of 3 small children do something like this? I am not so sure about the answer to that question any more. Why in the world would someone with thalassemia (low hemoglobin) AND hypothyroidism (an underactive thyroid) do something like this? It’s not enough that being a mother makes you fatigued… let alone anemia and a slow metabolism. Then add on 2 – 3 hours of working out. Okay, now I know what I was supposed to say here. If I can do this, then you sure as heck can! Everyone has their own personal hopes, dreams and aspirations. Running marathons and finishing (hopefully) half ironmans just happens to be mine. I can’t let the little things get in the way of my dreams now can I? So, you may not want to run a marathon, but what are your dreams? Do you pursue them or do you make excuses? I believe that you don’t really want it if you aren’t willing to go for it. I watch my friends and family set goals and reach high. They inspire me to do the same. They may or may not run marathons or bike 50 miles like I do, but they take risks and make things happen. I see the beautiful work of an aspiring photographer. I know dedicated teachers who are a positive influence on the lives of children. I hear about the friends that advocate for the causes they believe in. I have family and friends that risk their lives so that others may live. I watch stories unfold right before my eyes. People who do remarkable things are all around us. It might be easy to say that someone who runs a marathon or finishes an ironman is amazing because it is right there in front of you. But take a closer look and you will see other dreams coming true. 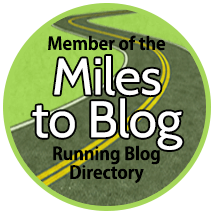 My headline for this blog is: “my mother inspired me to run… now I am a mother inspiring others to run!” Sure, that is what I hope to do. But maybe they will be inspired to do something that they have always dreamed of doing, not necessarily running. That’s okay too. This entry was posted in Running Experiences and tagged aspirations, dreams, hopes, inspiration, Ironman, marathons, running.